Where can I shop in Eindhoven? sleeping and things to do in 040 Eindhoven. You find on eindhoven.info all the information to shop in shopping centre as WoensXL, Piazza center of Admirant shopping. Eindhoven is a city in Holland. Eindhoven lays in the county called Noord-Brabant which is the south of the Netherlands. The city has more than 225.000 citizens and is, because of that, the fifth city of the Netherlands and the biggest city of the county of Noord-Brabant. The name of the city is a conjuction of the words eind, which means end, and hove which is courtyard. As known by now this might refer to the end of a colony. The city is known for its innovative nature. The city is the father of the Philips company which brought light to the world. Philips changed the city into an industrial giant which has brought the city a lot of good things. Nowadays, the city of Eindhoven is known for its chances and opportunities. The city is in a constant flow of creativity, work ethic, fun and thinking power. The city of Eindhoven bursts of energy and likes to be explored and discovered by a lot of people. Eindhoven is a city in the south of the Netherlands, located in the province of Brabant. With a population of 225.020 it’s also large municipality in the Netherlands. Only in Amsterdam, Rotterdam, Utrecht and The Hague live more people. Eindhoven has a vibrant nightlife and offers interesting culture and recreation. Eindhoven is a big and important part of the province of Brabant. Geographically speaking, it’s is a municipality, urban network and agglomeration at the same time. The municipality of Eindhoven is part of the metropolitan area of Eindhoven. There urban network ‘BrabantStadEindhoven’ functions as an agglomeration. It’s made of the municipalities Eindhoven, Veldheven, Nuenen, Best and Geldrop-Mierlo. Urban researchers predict that the population of Eindhoven will increase in the near future. In 2020 this large Dutch city will be the home of about 231.000 people. In the past hundred years the geography of Eindhoven has changed a lot. At the beginning of the 20th century it was just a small place with a population of 45.000. The city also had some stone walls as a memory of the past. However, in 1920 neighboring communities like Woensel, Stratum, Strijp, Gestel and Tongelre were added to the municipality. This was a very important development, because the population of Eindhoven suddenly increased from 4000 to 45.000. In Eindhoven there’s no time to get bored. People can enjoy a fantastic nightlife in one of the many clubs, bars and discos of the large city. A great place is the ‘Market’ in the centre. You’ll find some large terraces over there, where you can enjoy a drink and watch all the people coming by. Another to place to be is the southern part of the centre, where you can find the longest street with café’s, bars and discos in the Netherlands. Or perhaps you really like traditional pubs. In that case you should definitely visit the western part of Eindhoven. You’ll find some traditional cafés and restaurants at the Wilhelminaplein, who have been there for years. Sometimes these places also offer live music performances. The East and West are not the only parts where you can have fun in this city. For example, you’ll find great restaurants and terraces at the ‘Grote Berg’ and ‘Kleine Berg’. 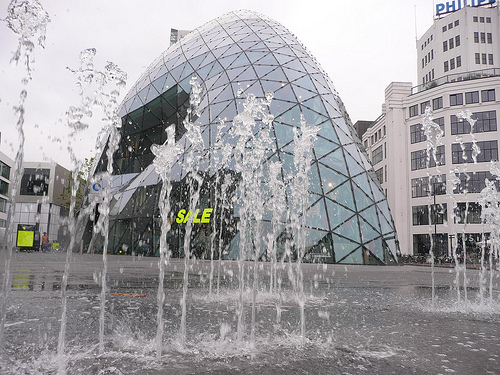 The discos, café’s or restaurants at the ‘Stationsplein’, located near the station, are recommended as well. You can also find a cinema and terraces over there to relax. The people from Eindhoven also have a great time in the ‘Dommelstraat’, near the Stationsplein. At the end of the street there’s a great music venue called ‘de Effenaar’. Eindhoven definitely wants to be an attractive and dynamic city. This is why it organizes many events throughout the year. For example, the month October is all about the Dutch Design Week. If you love fashion you should definitely pay a visit to Eindhoven. In the winter months Eindhoven changes in a city full of lights. In the beautiful month November it organizes a light festival called ‘Glow’. Another big event is the Marathon, in which athletes make their best impression. Many events in Eindhoven are organized by ‘City Dynamiek Eindhoven’. In this case the catering sector, retail and municipality of Eindhoven work together to put the city on the map. The architecture is an interesting part of Eindhoven. Actually, some monuments are real crowd-pullers. In total you can find more than 140 national monuments in the city. These memories of the past are especially located in the old quarter of ‘Bergen’. In other parts of Eindhoven you’ll find some historical buildings of well. Textile-, cigar- and match factories were established during the Industrial Revolution in the 19th century. In the centre of Eindhoven you’ll even find buildings with a history that goes back before 1800. For example, take a good look at the Rechtestraat (numbers 14 and 49) or Stratumseind 49. In the 20th century the lighting factories of Philips became an important part of Eindhoven. The first lighting factory was actually build in 1891. You definitely should take a look. Next to this iconic factory you’ll find the largest building of Eindhoven, known as the ‘Admirant’. This building of 105 metres is very impressive. The old factories are not the only highlights of Eindhoven architecture. Also recommended are the ‘Catharinakerk’, build in 1867, and the ‘Heilig Hart of Paterskerk’. The last monument was built in 1898 and can’t be overlooked because of it’s size. The city of Eindhoven uses a combination of old and new architecture. At the end of the 20th century more high-rise buildings were established. A good example is the ‘Kennedytoren’, where some offices are located. However, high buildings ‘Admirant’ , ‘Vestedatoren’ and ‘Porthos’ also have appartements. In these appartements you have a fantastic view over the city of Eindhoven. Eindhoven is definitely not done with building. Because of the rising population the municipality is currently organizing building projects. For example, a former factory site of Phillips will be rebuild into a living area. The ‘Strijp S’ site is 27 hectare and will be ready in 2020. The history of Eindhoven goes back to the Middle Ages. This means that the city contains many old neighbourhoods. You should definitely pay a visit to ‘Het Witte Huis’, ‘Villapark Tongelre’ and ‘Philipsdorp’. These old parts of the city are protected because they tell the history of Eindhoven. Perhaps you like to relax after visiting some old monuments and neighbourhoods of the city. Luckily, Eindhoven is known as one of the greenest cities in the Netherlands. It’s stunning that the ‘green’ size per home is almost 100 m2. Great city parks in Eindhoven include the ‘Philips van Lenneppark’, the ‘Philips de Jongh Wandelpark’ and the ‘Genneper Parken’. You can also enjoy a sunny day in the park at the ‘Henri Dunantpark’ or the ‘Karpendonkse Plas’. People who love to walk or bike really like the green area of Gestel. This is quite a big area between Eindhoven, Aalst and Veldhoven. Interesting fact about the parks in Eindhoven is that you can admire a lot of art over there. The city park looks fantastic because of more than 30 artworks, that you can find everywhere. Making a walk in the city of Eindhoven is a good idea as well. For example, at the southside of the Kennedylaan you’ll find an artwork that interestingly enough looks like a bowling alley. It’s called the ‘Flying Pins’, and is definitely worth a visit. Or perhaps you like to see the statues of the most famous inhabitant of Eindhoven: Frits Philips. This tribute to inventor of the Philips company can be found on the Market. In the front of the station there’s also a beautiful statue of Anton Philips, the father of Frits. Eindhoven is a great city when you love musea, theatre or music. Every year about 186.000 people love to visit one of the musea in Eindhoven. You should definitely make a visit to the ‘museum of Eindhoven’ in the Genneper Parken. It tells you all about the history of Brabant. To do so you need to visit the DAF Museum or the small light bulb factory of Philips. However, it’s no problem when you’re not a history fan. A museum just as interesting is the ‘Van Abbemuseum’ about modern art. Over here you’ll find an amazing collection of world famous artists like Picasso, Kandinsky and Mondriaan. Of course you can learn about the history of Philips as well, because this company has made Eindhoven famous all over the globe. The municipality of Brabant is just as interesting as the city. You will discover this when visiting ‘Museum Kempenland’. It offers interesting collections about the paintings, folklore and sculptures from some artists who lived in North Brabant. The ‘Designhuis’ is definitely recommended when you love innovation and design. If you make a walk in the famous Dommelstraat, you should definitely take a look into the ‘Inkijkmuseum’. It’s interesting collections are only visible when you take a look through the window. Perhaps you’re a music fan as well. Eindhoven is definitely a good place to be with the concert venue the ‘Effenaar’, which was mentioned earlier before. Music centre Frits Philips is a fantastic place for performances in music as well. Both cultural buildings attract about 150.000 people every year. Eindhoven.info is an informative website about the events and activities in the city of eindhoven for touritst. You will find information about shopping, , travel, opening hours, shopping Sundays and more. Further information about events, festivals and always a current agenda. 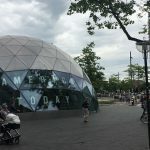 Entertainment in Eindhoven: what are the great places? Eindhoven is a city in the south of the Netherlands, in the province Northern-Brabant. A lot of young people live in this city, because it has a great nightlife. The most famous one is Stratumseind, but there are some other great options as well. Where else can you go to have a memorable night in Eindhoven? There are several entertainment areas besides Stratumseind, including the Market Square, the Station Square, Dommelstreet, Wilhelmina Square and the Berg. You can find a lot of restaurants, cafés, casino’s and bars over here. It might be a good idea to make a plan before you visit one of these areas. Try to combine the Station Square and the Dommelstreet for example, because they’re both located in front of Central Station. You immediately see some restaurants over here to eat or drink something. 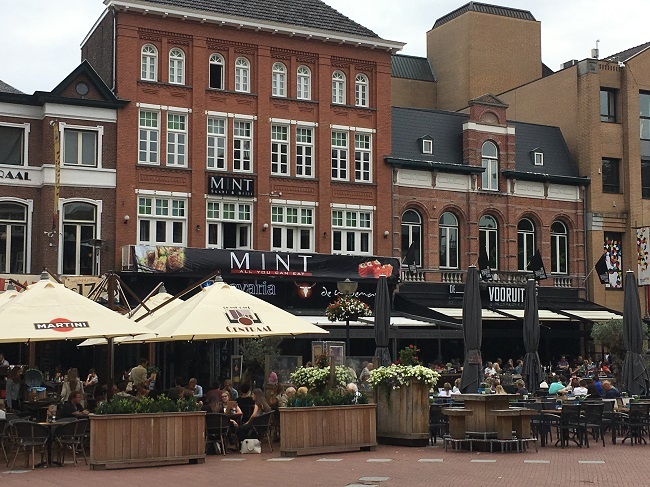 If you walk further from Central Station, you find the Market Square with some great terraces. Are you more into a pub tour? Then Stratumseind is the place to be, because it’s the longest street with café’s and bars in the Netherlands. There are over fifty of them! So it comes as no surprise that most young people from Eindhoven can be found in this street. The average age is 18 to 25 years old. Perhaps you’re a little bit older than 25. Doesn’t matter, because there are a lot of places for other age groups to have a great night, including ‘Wildeman’ and ‘de Vooruitgang’. The average age over here is 30 years and older. We wish you a lot of fun in Eindhoven!